Today it feels like spring! Though it's autumn these temperatures bring me in a mood to wear some light clothes. Wearing my Monki skater skirt and a white River Island blazer. Again a basic outfit, but with weather like this I really find it hard to put on the right clothes. Prachtige outift en wat een gave rugzak! Weer een prachtige outfit Laura! Staat je echt prachtig. De tas is erg mooi! Oh wauw, wat een mooi rokje! Sowieso erg classy outfit. 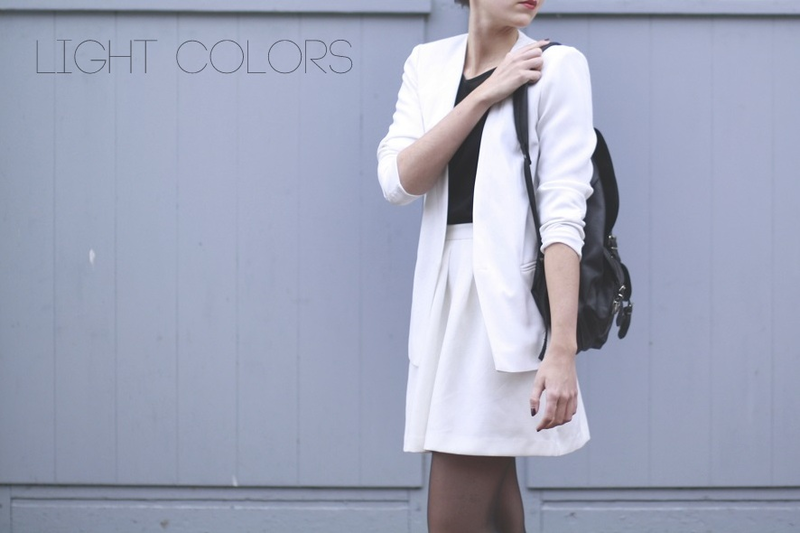 Love this black and white minimalist outfit! Great pictures! 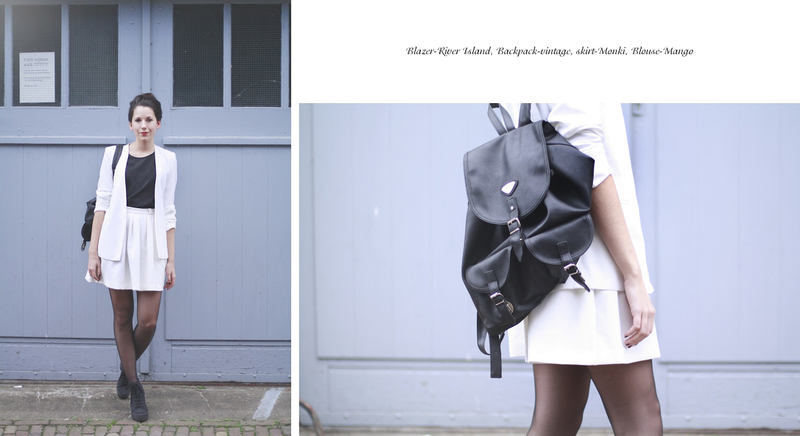 Wauw, hele mooie outfit en foto's! Super mooie outfit, echt een mooi rokje!